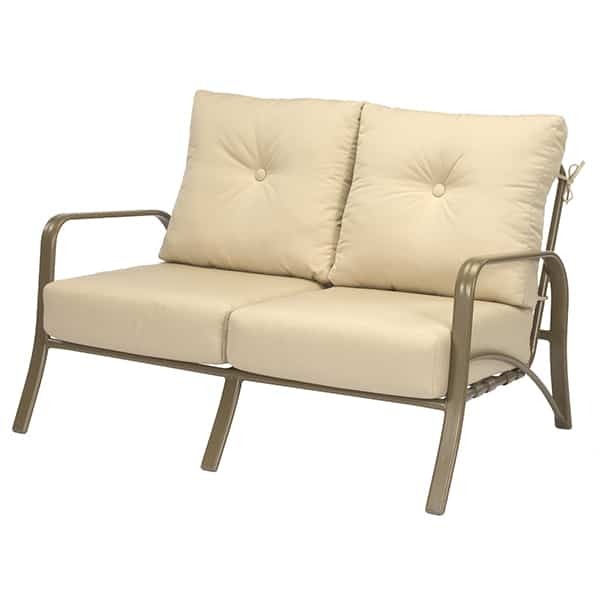 Featured Patio Set Includes - Loveseat, Club Swivel Rockers, Ottoman and Faux Stone 22"x34" Coffee Table. 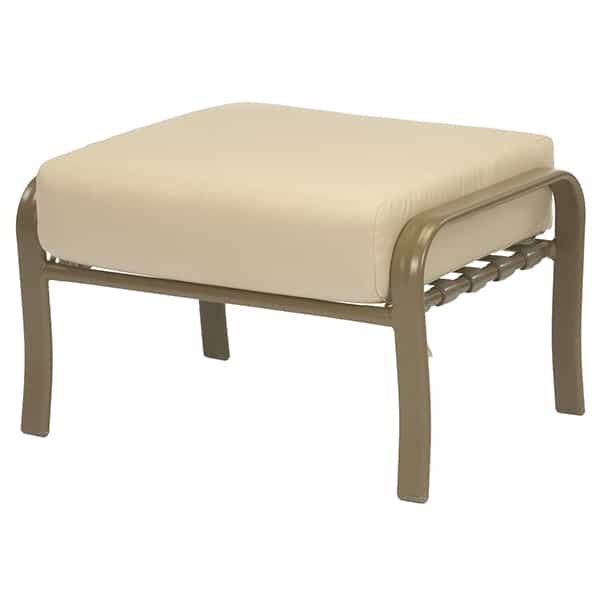 Spruce up your outdoor living area with Montego Bay Deep Seating by Windward. 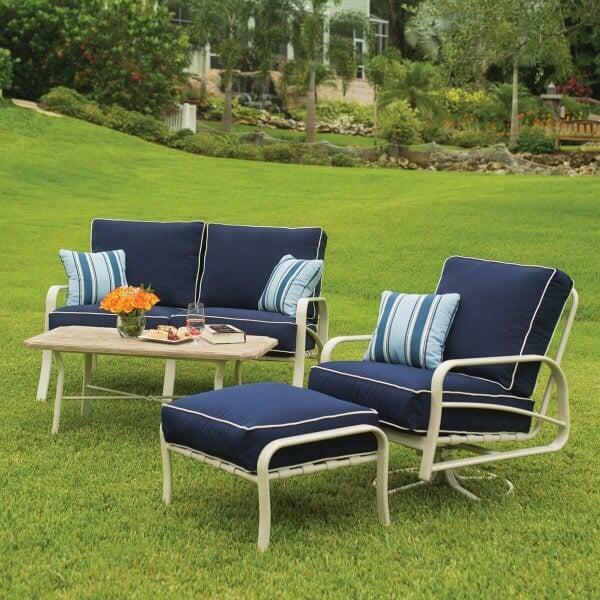 Windward's classic styling and attention to comfort has made them a leader in the Outdoor Furniture industry. These traditional patio furniture pieces are easy to move, yet heavy enough to withstand the wind. Montego Bay showcases classic North American designs; the Mayan-punched motif and clean support outlines will add class and luxury to any sunroom, deck, patio or porch. Windward always features the best materials, which results in sturdy, solid and stunning patio furniture fit for indoor or outdoor use. 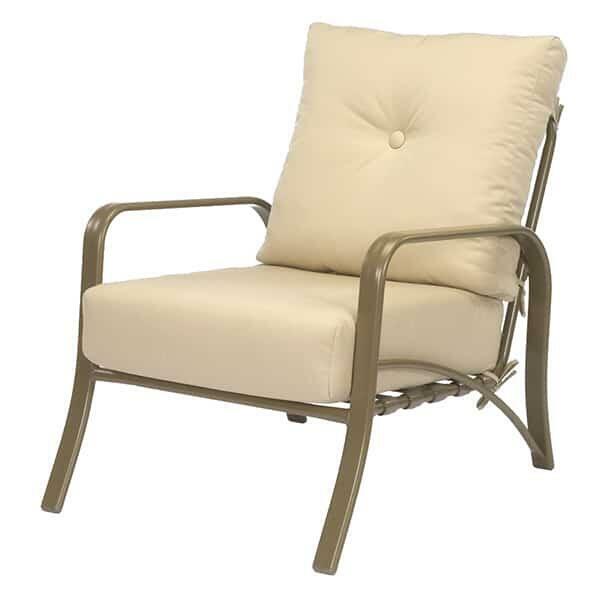 We always have outdoor patio furniture for sale, so we guarantee the best Montego Bay deep seating prices. And with a wide range of fabrics and finishes, we promise Montego Bay Deep Seating by Windward will match any home's décor. W 55" x D 38" x H 31" LBS 74 SEAT HEIGHT 17"
W 30" x D 38" x H 31" LBS 33 SEAT HEIGHT 17"
W 30" xD 38" x H 31" LBS 41 SEAT HEIGHT 17"
W 80" x D 38" X H 31" LBS 78 SEAT HEIGHT 17"
W 30" x D 22" x H 18" LBS 17"